So what exactly is a SIPP, what are the benefits of this product, and could this be the right investment product for you? Let’s answer those questions. A SIPP, or Self Invested Personal Pension, is an investment product which allows you to choose more freely where you invest your pension cash, while at the same time allowing you to take advantage of tax relief offered by the government for those who choose to save for their retirement. Investing in a SIPP is different to investing in a typical pension because of the freedom you have to choose your own investments. When you invest in a typical pension, the pension company will only usually invest your cash in a limited range of funds. This may be because they want to – or are required to – maintain a low level of risk exposure. While this is all well and good, low risk and a low range of available choices can also often mean low returns. The fees charged by some fund managers on funds may also not be too favourable, eating up your pension cash as a result. When you choose to invest in a SIPP however, you will have much more freedom to choose exactly where you invest your pension cash. For example, you could choose to keep your portfolio low risk, but to look for funds with very low management fees so that you will still get what you consider to be the best value for money. Or, if you feel comfortable doing so, you could take on some higher risk investments in the hope of greater returns. The award-winning Vantage SIPP from Hargreaves Lansdown, for example, allows you to invest your pension cash in a wide range of Unit trusts, OEICs, Investment trusts, Individual UK shares, Overseas shares – including EU and US markets, Bonds, Gilts, PIBS and ETFs. You can also choose to hold cash if you feel that things are getting a little volatile in the market. How you choose to invest your cash in a SIPP is up to you, but this would also be the case if you were to simply open a standard UK online share dealing account. So what are the benefits and advantages of investing in a SIPP over investing through a ‘normal’ dealing account? There are many reasons why someone who is saving for retirement might want to invest in a SIPP, rather than just opening up a standard dealing account. One of the primary reasons individuals may choose to invest in a SIPP is the tax relief that is on offer when you invest this way. At the time of writing, pension contributions currently receive up to 45% tax relief when you invest through a SIPP – though this may change over time. Just how much tax relief you will receive and how it will be paid will depend on the rate of UK tax you pay. To understand more about the tax benefits of a SIPP and how this could work for you, see this page. Another reason why pension investors like SIPPs is due to their low charges. As you are taking on the responsibility of managing your own pension cash when you invest in a SIPP, you will likely benefit from lower running costs. Some SIPP providers offer lower charges on several top funds too, as they are able to negotiate better rates for their clients. Some low-cost SIPP providers also offer to set up your SIPP for free, though others may charge a fee. While you also have full control of your investments in a standard dealing account, I think it’s worth reiterating that another benefit of a SIPP is that you yourself will be able to decide the level of risk you are comfortable with in your portfolio, which is different from a typical pension. Some people may be happy to take on some slightly riskier investments with the hope of better returns. 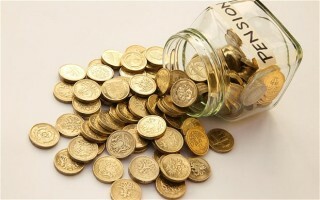 Others might decide they want to take as little risk as possible with their pension cash. Investing in a SIPP will give you full control over how you invest your cash for retirement. Some SIPP providers also provide handy tools to help you figure out what your risk profile is and then decide which types of investments might work well for you based on your risk profile. While it’s true to say that self-managing your own pension cash might not be the right move for everyone, there are certainly potential advantages to doing this if you are willing to take up the challenge. If you are looking to start saving for retirement and you are considering investing in the stock market, then it can make sense to take advantage of the tax benefits offered when investing through an investment product such as a SIPP, rather than just opening a standard dealing account. A SIPP may also be right for you if you are looking to have a greater level of control over where you put your cash, or if you are looking to reduce the amount you pay on fund management fees, therefore maximising the returns on your pension investment.